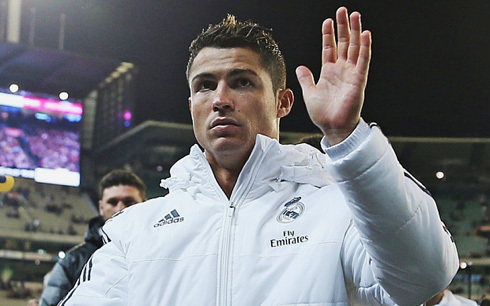 Two months away from turning 31, Cristiano Ronaldo seems as thirsty as ever for scoring goals. It's true the Portuguese ace has often looked a bit disconnected this season, but his numbers are still there, together with the promise to still improve his game in the upcoming months. What better news could Madrid get at this stage of the season? Though his stats may appear great, few would say that Cristiano Ronaldo has had a great start to the season. 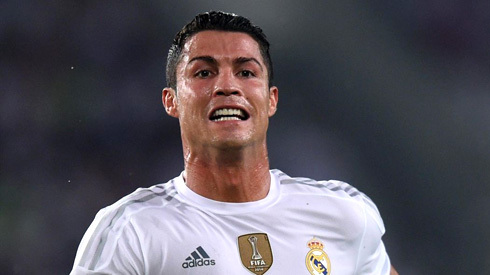 The Real Madrid has struggled with his finishing and he's looked visibly frustrated at times on the pitch. Even now and as we approach the FIFA Ballon d'Or ceremony (to be held on January 11 of 2016), many pundits are still claiming that the former Manchester United star shouldn't even be in the top three. All in all, it's been a strange couple of months for Ronaldo. Despite all the controversy and criticism around him, the Portuguese icon is now on a 4-game scoring streak, with 8 goals in his last 4 appearances for the Merengues. Yet, despite all of these distractions, Ronaldo is still banging in the goals. 21 goals in 20 games, is in line with his career average with Real Madrid, all in a season where he has supposedly "slowed down". This is the ultimate testament to how good Ronaldo is, even now, when he's supposed to be playing at his lowest level in years, he's still breaking records. 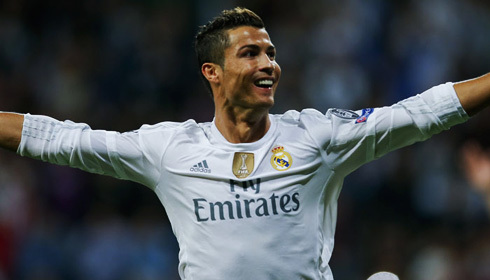 In total, CR7 now has an astonishing 73 goals in 69 Champions League games for Madrid. Against Malmo, as Madrid romped to an 8-0 victory, Ronaldo looked like this his old self: scoring, assisting and dominating. The 30-year old netted four goals on Tuesday against the Swedish side, giving him a grand total of 11 for the group stages of the Champions League. That's a brand new record for him! In fact, he's the first player to ever score in double figures in the group stages of the tournament. After his performance against Malmo, Ronaldo is also the player with the most assists (10) in the Champions League since the 2012-2013 season, though all the critics try to point out that he is selfish. But as he's stated many times, this only motivates him to be better. Ronaldo, even if he isn't quite the force he was a few seasons ago, is still able to maintain this insanely high level of play against all odds. This should be celebrated. If Ronaldo is able to score this much while the team is in a "crisis", imagine what could happen in the second half of the season when this Madrid team starts to gel? He still needs to improve his form in the bigger matches, but with all of Madrid's players backing the team as a whole, he'll certainly start to perform better as well. Ronaldo certainly won't be in the running for the FIFA Ballon d'Or this time around, but don't be surprised to see an inspired 2016 from him. Cristiano Ronaldo next game will be for Real Madrid on the 13th of December of 2015, against Villarreal. You can watch Juventus live stream, Villarreal vs Real Madrid, Barcelona vs Deportivo, Sion vs Liverpool, Tottenham vs AS Monaco, and Borussia Dortmund vs PAOK, all matches provided from our soccer live game pages.